Scentsy Warmer of the Month 2018 Stella the Unicorn Rainbows and Butterflies! These two products go hand in hand and are best enjoyed together! Rainbows and Butterflies has the aroma of fresh strawberries, pineapple juice, and vanilla citrus! 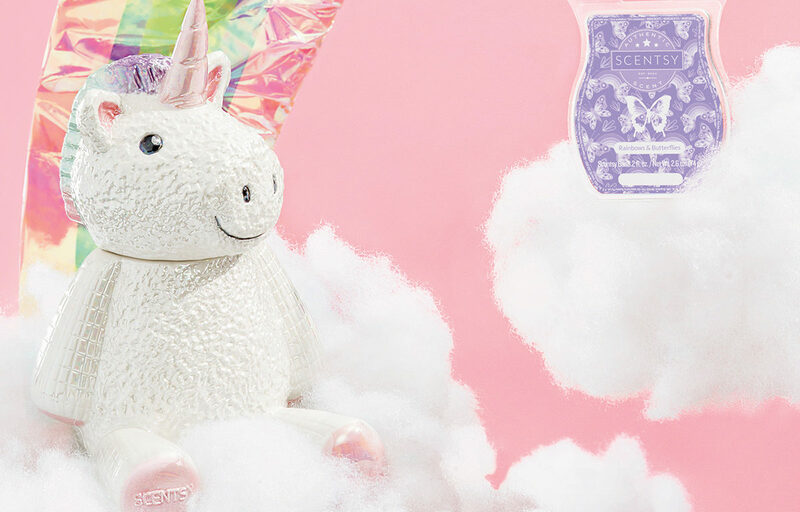 Stella the Unicorn is a wax warmer that is fun for all ages and is sure to brighten up the mood of any room! Click here to purchase now!